Here’s the situation with the HS1332 machine. There is a back scraper bar bolt that slides up and down at a 45° angle. The skid mounts just ahead of it. So the old method was to use 2 sets of spacers, to space out each side a full 1/2″ to clear that back bolt. 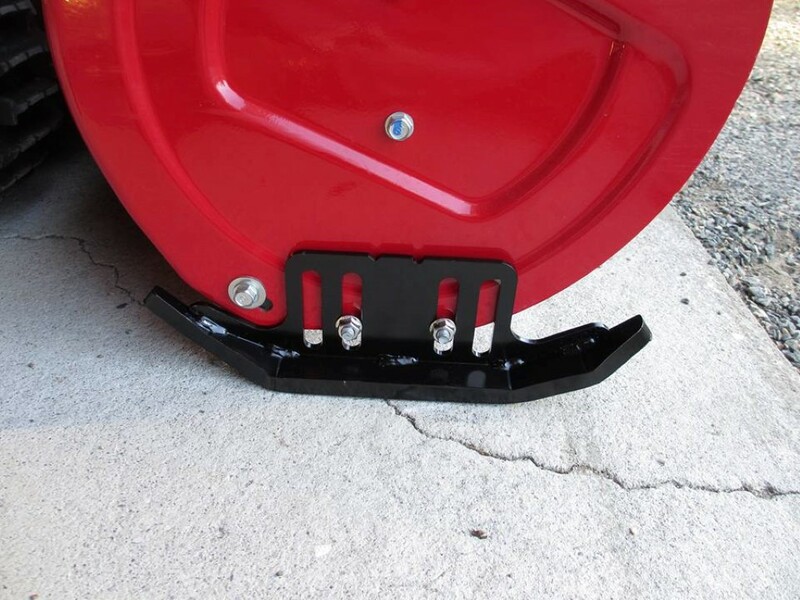 This new Pro-Hon skid listed above has a large cutout that clears that back scraper bar bolt. This allows for the skid to mount without the need for spacers. I developed this skid using the pro series bottom runner for strength since it wouldn’t have as much support from the vertical rib. I also increased the thickness of the vertical rib from 1/8″ to 3/16″ thick, to resist bending due to less steel. This skid is a beast, it’s the strongest skid I’ve ever made. It’s the one you want. When you compare the price to the regular ASE2425 skid with 2 sets of spacers, it’s a wash, which is even better.